As the Environmental Resilience Institute’s migration ecology fellow, Adam Fudickar hosts a lab that conducts research motivated by a concern for the impacts of environmental change on animals that migrate. 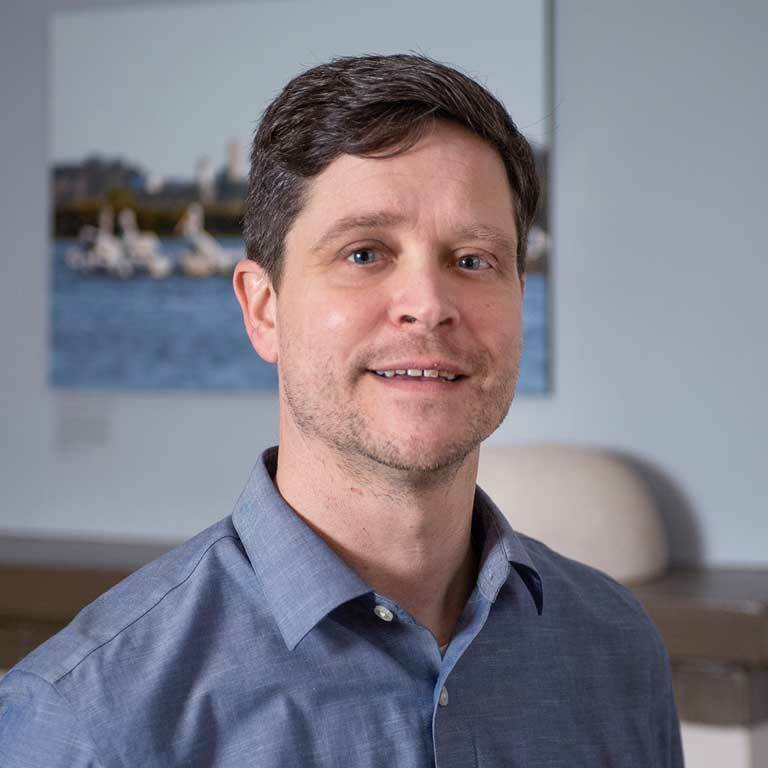 He joined the Institute following a postdoctoral research associate with the Indiana University Department of Biology, where he investigated environmental cues and internal mechanisms that determine when birds breed and migrate. Prior to his career at Indiana University, Fudickar worked in television and film production, received a bachelor’s and a master’s degree in zoology from the University of Oklahoma, and completed a Ph.D. in organismal biology at the University of Konstanz in Germany with a predoctoral fellowship from the Max Planck Society. Fudickar’s past research focused on how different environments promote different reproductive strategies in migratory birds, and on understanding the factors that promote variations in migratory behaviors. Adam Fudickar’s research seeks to uncover the triggers that govern the timing of animals’ migration and reproduction. In a changing climate, this research is especially relevant as animals may respond to seasonal cues that don’t match up with shifting patterns in food availability. For example, it appears that day length dictates when some Indiana birds migrate, a factor that is not affected by climate change. These birds may arrive at their destination to find that, due to recent changes in growing seasons, they have missed the crucial window in which the plants and insects they normally consume are available. Determining what drives different animals’ migratory and breeding behaviors can help identify not only which species may be more vulnerable to climate change but also what threats migratory populations might pose to humans. Fudickar is currently studying the Agrotis ipsilon moth, an agricultural pest that lays eggs on Indiana crops as it travels between Canada and Mexico. The timing of this moth’s passage through Indiana relative to the local growing season will determine how much damage the larvae cause, as a hatching event on young crops could destroy a harvest before it matures. Technological innovation is key to Fudickar’s research. Recent advances in miniaturization have made it possible for the first time to collect precise data on small animals’ movements, and Fudickar collaborates with IU computer science professor Geoffrey Brown to design tailor-made tracking solutions. To understand how the migration of the Agrotis ipsilon moth is affected by factors such as day length and temperature, the two researchers have developed a device that functions as a migratory compass: when a moth is attached to the tool, the insect will orient itself toward its destination; the device measures the direction it faces. Because the species is always in motion and passes through several generations during each North American journey, each moth is born with a mandate to fly either north or south. Breeding Agrotis ipsilon in his lab under different conditions enables Fudickar to assess how fixed and changing environmental characteristics might affect these patterns. Fudickar and Brown have also developed a tiny half-gram data logger, lightweight enough to be used with small birds, that attaches to an accelerometer to measure and log movement each second. One ongoing study using this technology examines an effect of urbanization by comparing birds exposed to artificial light to those that are only exposed to sunlight. 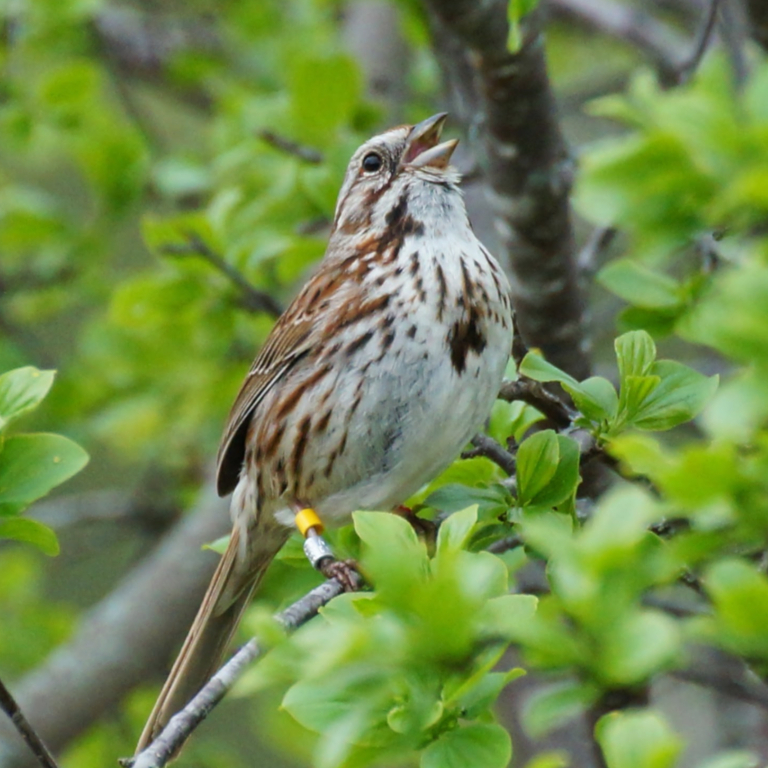 Preliminary data indicates not only that birds living on IU’s well-lit campus are awake and moving overnight when birds in nearby rural settings are resting, but also that these urbanized birds are breeding as much as two or three weeks earlier than their rural counterparts. This evidence contributes to a hypothesis that contradicts longstanding assumptions about reproductive timing. While scientists have generally believed that breeding seasons are genetically predetermined, Fudickar suspects that light exposure may play a much larger role than previously recognized. He is currently working to apply these and other insights to help mitigate negative ecosystem effects of urbanization through a collaboration with Keep Indianapolis Beautiful that seeks to enhance species abundance and biodiversity in the capital city’s parks.